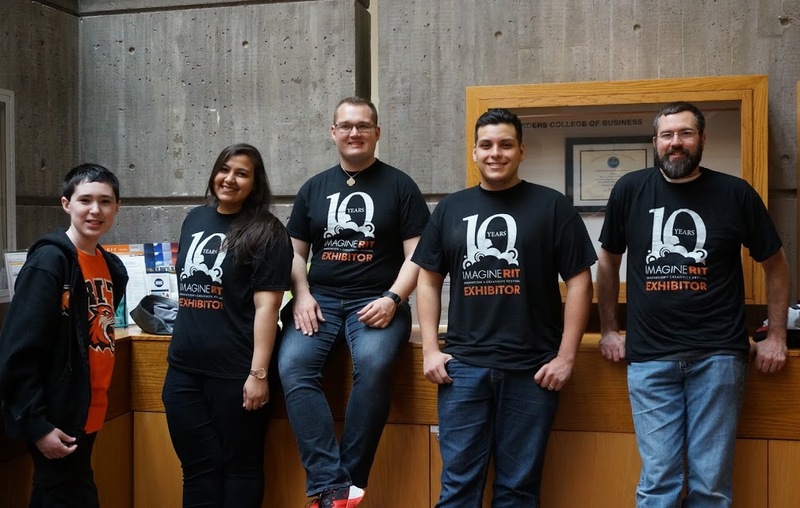 Saunders College of Business hosts several exhibits and research projects each year at the Imagine RIT: Innovation and Creativity Festival. 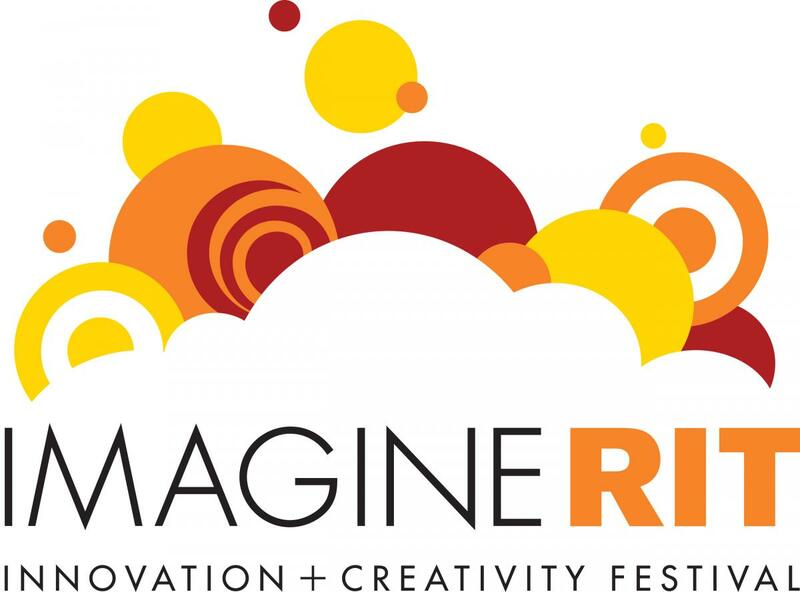 For more information about the annual, campus-wide event that highlights the innovative and creative spirit of RIT students, faculty and staff, or to get involved, view the Imagine RIT webpage. 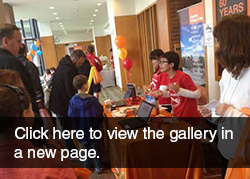 Imagine RIT on April 30, 2018 featured many exhibits and projects from students. 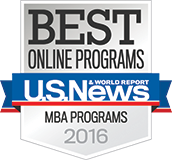 Saunders College of Business partnered with a local nonprofit Dress for Success. 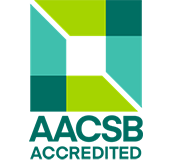 Dress for Sucess Rochester provides economically disadvantaged clients with professional attire and offers programs for confidence building and skill development. This exhibit allowed young girls to explore how dressing for business makes them feel and learn how to present themselves in the workplace. 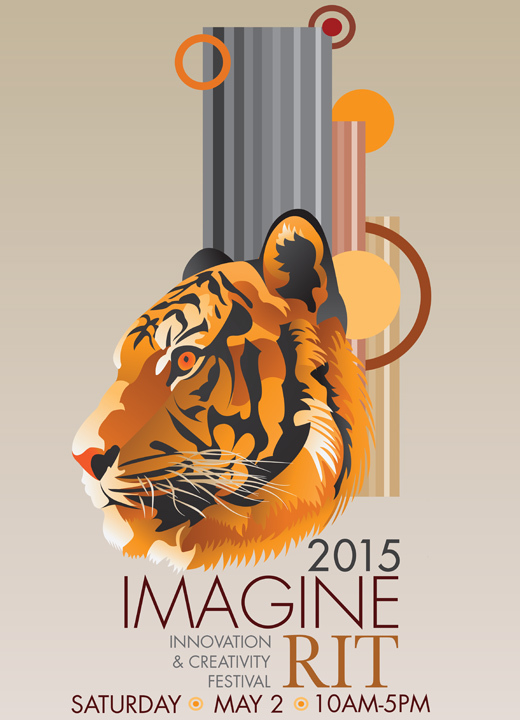 Check out the photo gallery from Imagine RIT. 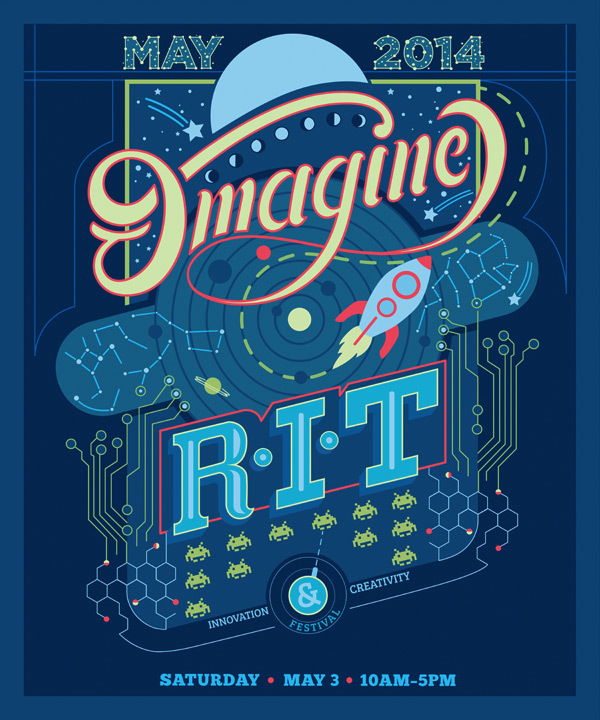 RIT celebrated the 10th year of Imagine RIT. 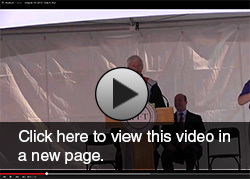 There were over 400 exhibits campus wide featuring science, technology, engineering, fine arts and business. 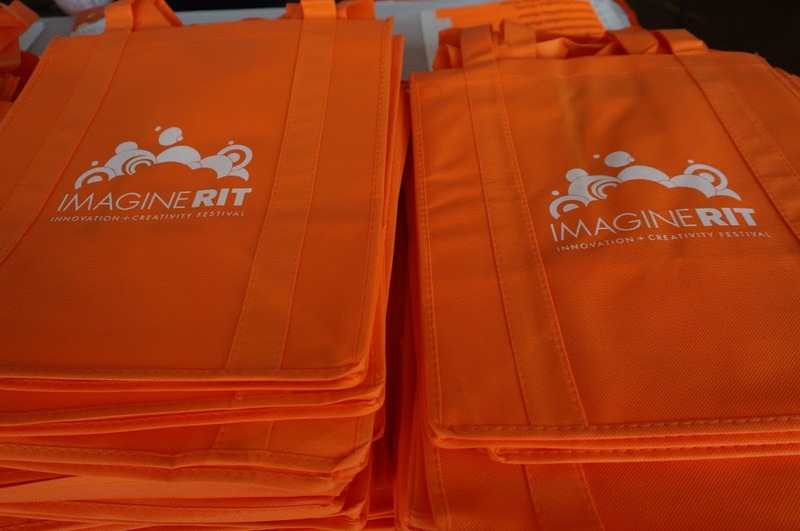 Click here to view the photo gallery from the 10th Imagine RIT. 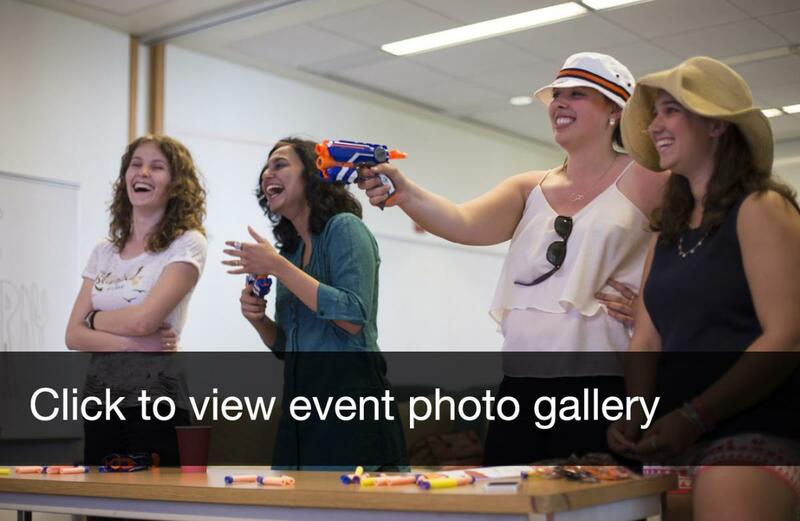 For the fourth year, Saunders College of Business presented "Business is FUN," an interactive and hands-on experience for visitors to enjoy the exhibits in housed in Saunders College. 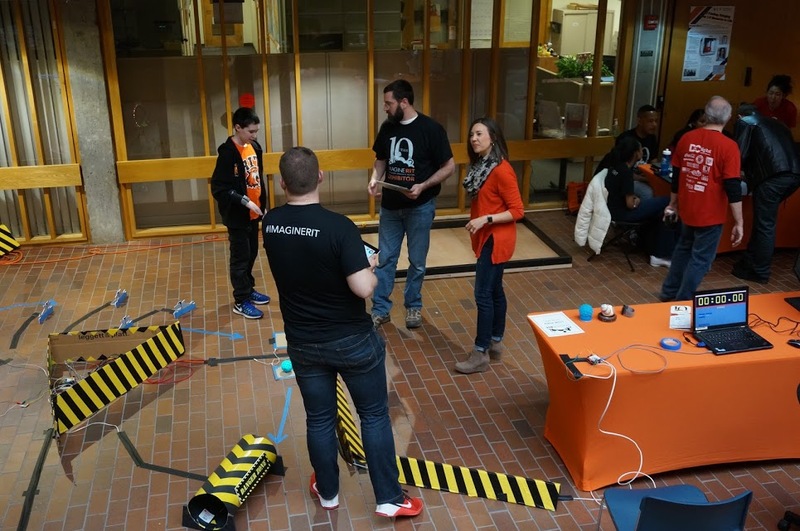 Returning exhibits, like Nerf Jeopardy and Sphero, and Saunders Delta Sigma Pi business fraternity's "Great Suit Race," which challenged visitors to dress for success, drew crowds from across campus. Who doesn't love a tasty snow cone on a warm day? 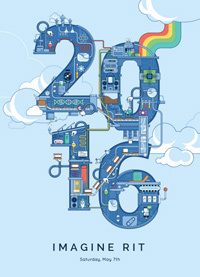 New and innovative exhibits were a main attraction and provided educational fun for visitors of all ages. Young Entrepreneurs Academy (YEA!) alumni encouraged to be curious, "Cabin Fever" made discovering "what to do easier" with a mobile phone app, and a team demonstrated their commercialization plan for SpynAlign, a postural control device for stroke patient rehabilitation that involves wearable technology to alert patients when their posture needs correction. A student team from Saunders, working as a part of the larger interdisciplinary team caleld: PlayMobile: Motorized Pediatric Stander, entered into Dr. Destler's Access and Inclusion Technology Challenge and took home first place. 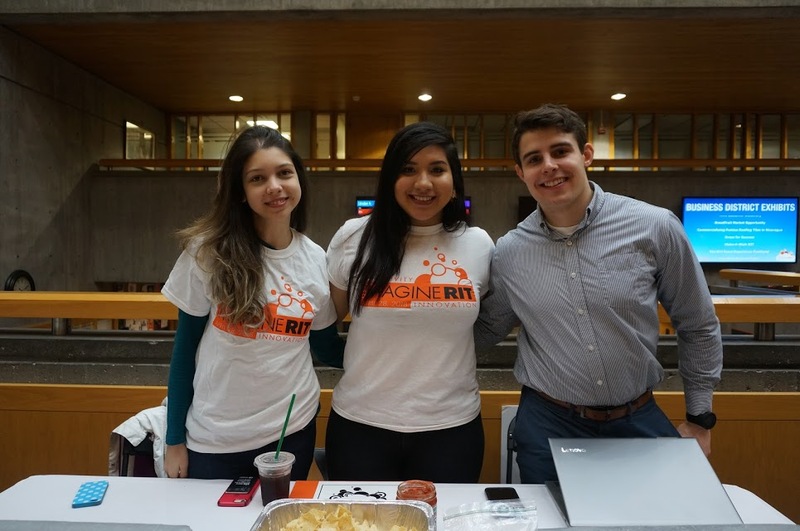 Sixteen student teams researched and developed state-of-the-art technologies that would improve access and inclusion for people with disabilities, with a specific task of making it easier for travel and shop. The winning entry, Playmobile: Motorized Pediatric Stander, included a kit and accompanying app developed by the 13-member team of industrial design, business and engineering students. The device allows children with cerebral palsy to explore their environments and learn to move in a standing positioning. 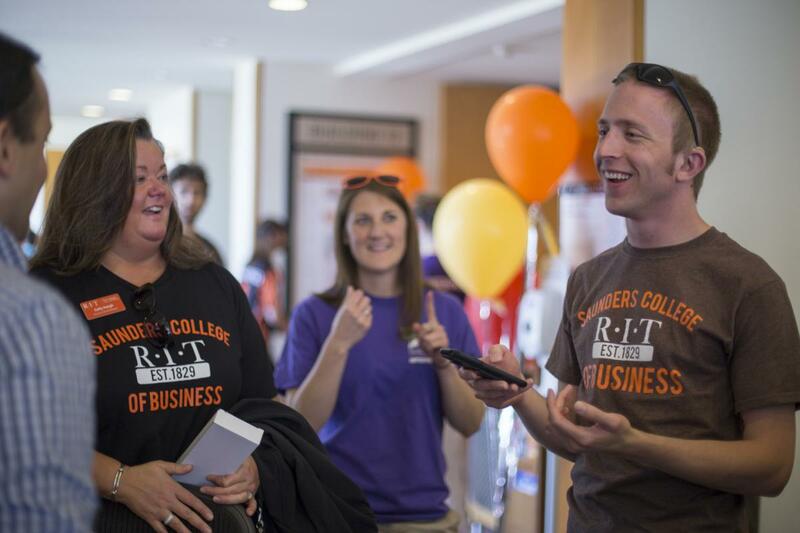 Saunders College visitors experienced the breadth and depth of RIT through interactive Jeopardy and hands-on arts and crafts to create your own business cards. 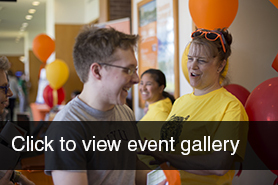 All over campus, there were inflatables, games, and multiple performance stages featured live music and entertainment, a hit with visitors of all ages. Saunders College of Business hosted a number of exhibits including Healing Waters International and Hack Your First Computer. The Leadership in Organizations course partnered with Healing Waters International to explore opportunities to contribute efforts towards accomplishing the organization's mission. Hack Your First Computer educated about strategic leadership issues with a hands on and practical exhibit to spread computing security awareness and teach mom, dad, and children, the best practices when it comes to computing at a layman level.